Last night I sat with my girls to watch the PyeongChang 2018 Winter Olympic Games. The Alpine Skiing — Men’s Super-G just started as we turned on the TV. I must say we were in for a treat. This race was filled with so many life lessons, I could not have asked for more. Between the first two contenders that missed a gate and could not complete the race, to a contestant from Austria that was knocked off balance, or a Norway skier that had his ski pole ripped out of his hand but still managed to finish the race. It was intense. The lessons learned here were so important that we pushed bedtime, even though it was a school night. The 1.43-mile (2.3-kilometer) course was design by an Italian coach. However, it did not help it’s country’s racer Peter Fill. Fill was the first to compete. He missed a gate after taking the wrong launch angle over a jump. Fill did not finish the race. He came there to win and he lost. While he was going down the slopes, the other contenders were watching the monitors. To my daughter’s surprise it wasn’t just to see how long it took him. Or to see if he will not become a threat for their win. They were glued to the screen because they wanted to learn the route in order to plan ahead! As an educator and a parent, I believe in lessons learned not only in the classroom. But let’s back up. During dinner, just before we were sitting to watch the race, we discussed some fun fact about the Olympics, my girls knew quite a lot. The Olympics started at 776BC in Olympia Greece. The modern Olympic games as we know them only started at 1896. They were held in honour of Zeus, king of the gods, and were staged every four years at Olympia, a valley near a city called Elis. Since 1994, the Summer and Winter Olympic Games have been held separately and have alternated every two years. I was also asked ‘What makes a country host the Olympics?’, ‘How does they choose the hosting country?’, ’Who can participates?’ and many more. For one night I was back being the source of information vs Google, and my girls were impressed. In the Super G we saw athletes from China, USA, Italy, Andorra, Norway, Germany, Kosovo, Canada, Brazil, and more. Almost all countries participate in the olympics. This is a period of time where politics become secondary. We are all equal. Men and women play to showcase their special skill. In this specific race I discussed with my girls perseverance, sportsmanship, and what it means to be a winner. We were amazed by leksander A. Kilde representing Norway. He lost his ski pole at one of the turns and continued racing with only one. This requires a highly trained athlete to maintain balance and finish the race. Kilde could have quit as it happened. Losing a pole may result at the worst case scenario in an injury that will ruin his career and his ability to compete. Thankfully he didn’t get hurn. Kilde trained and practice for many years. This provided him with the skill, the abilities, and spirit not to give up. Yes this cost him a medal as it slowed him down. However, achievement doesn’t necessarily mean winning. He was the winner in our eyes. The Norway’s ‘Attacking Vikings’ shared their story of sportsmanship and team support. The Super-G is an individual race. Alpine skiing is not a team sport, but the this amazing group of athletes would say it is. Tapping into their roots, they conquer race courses with power drawn from the group. They train together, they are there for their teammates, cheering them and pushing them forward. ‘Attacking Viking’ Kjetil Jansrud took the 3rd place in the race! The icing on the cake was the medal ceremony. Our que to head to bed. Yes, my girls missed bedtime, and yes my girls watched TV right before heading to bed. I, of all people, should know better as I know the implication and how screen time before bed effect of their sleep. But you know what? every once in a while it’s ok to bend the rules. This specific screen time was important and more beneficial than harmful. Remember, it’s all in how you balance technology use. I highly recommend parents to sit together (together is key) with their kids and watch part of the olympic games. You have time, the games are still on for another week. 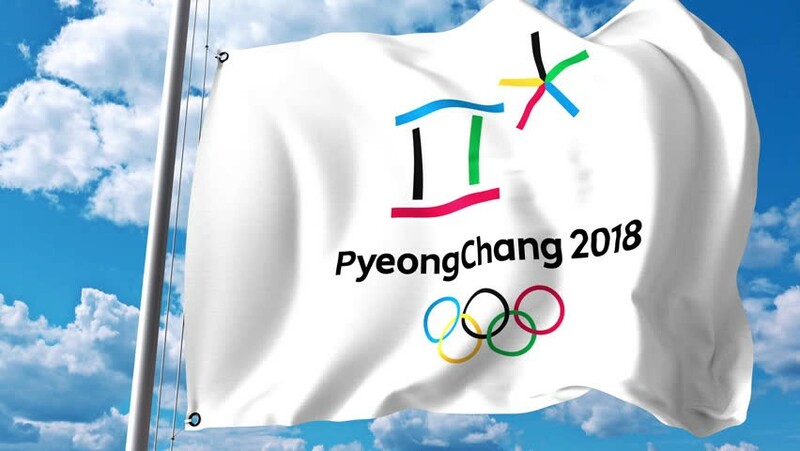 If you missed the Winter games, you do not have to wait two years for the summer games, check out for local sports game or sports competition, watch it together with your kids and share the values that matter.